Content queries are set before the ngAfterContentInit callback is called. 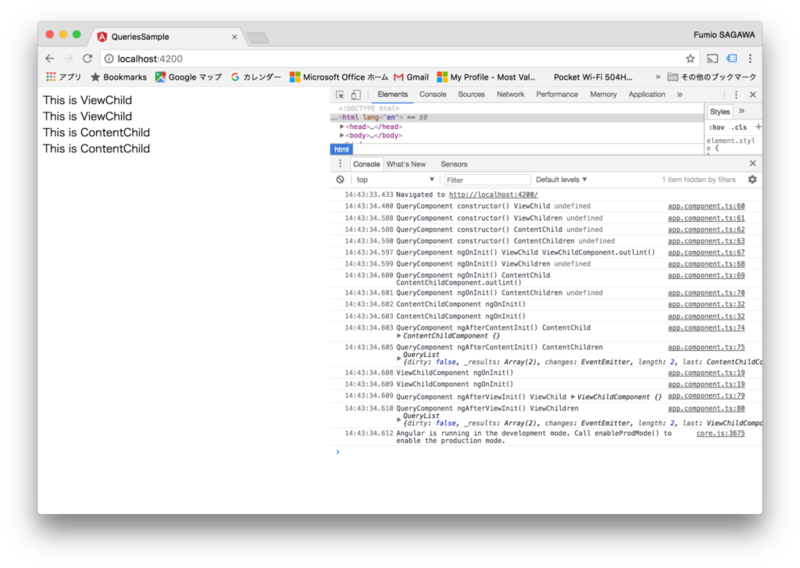 View queries are set before the ngAfterViewInit callback is called. The QueryList is initialized only before the ngAfterViewInit lifecycle hook, therefore, is available only from this point. The QueryList is initialized only before the ngAfterContentInit lifecycle hook, therefore, is available only from this point.